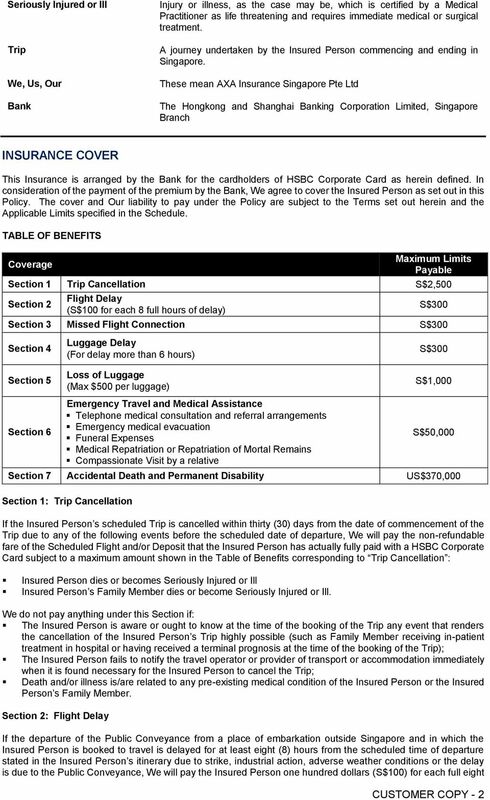 Download "HSBC Corporate Card Travel Personal Accident Insurance"
ACCIDENTAL DEATH. 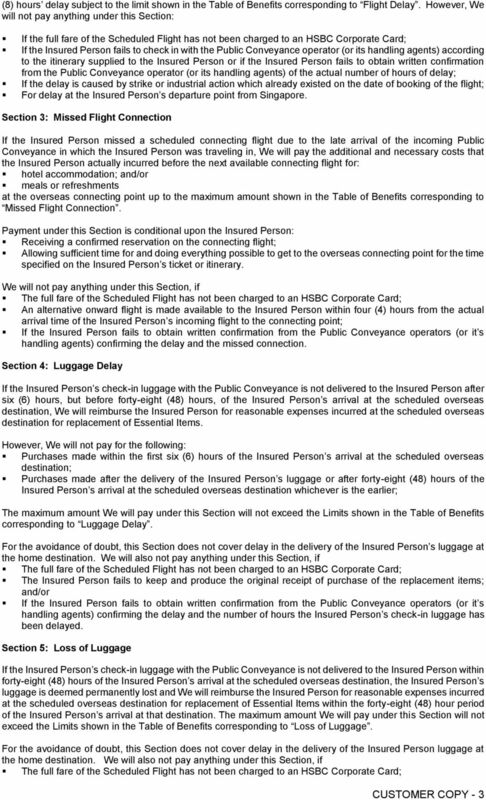 Policy Wording. Together, all the way. EMERGENCY SERVICE PROGRAM Contacts: For assistance, contact Travel Guard at (603) 2772-5689. 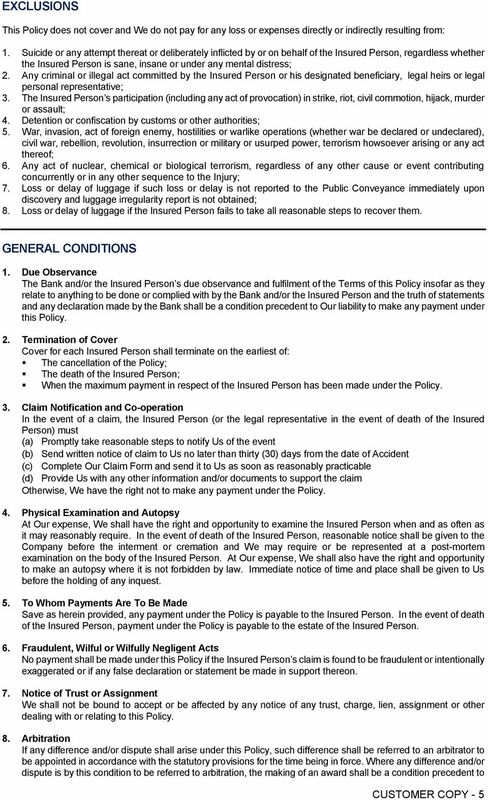 LIMITS OF INDEMNITY The Limit of Indemnity for any Participant during any one event shall be as follows: 1. 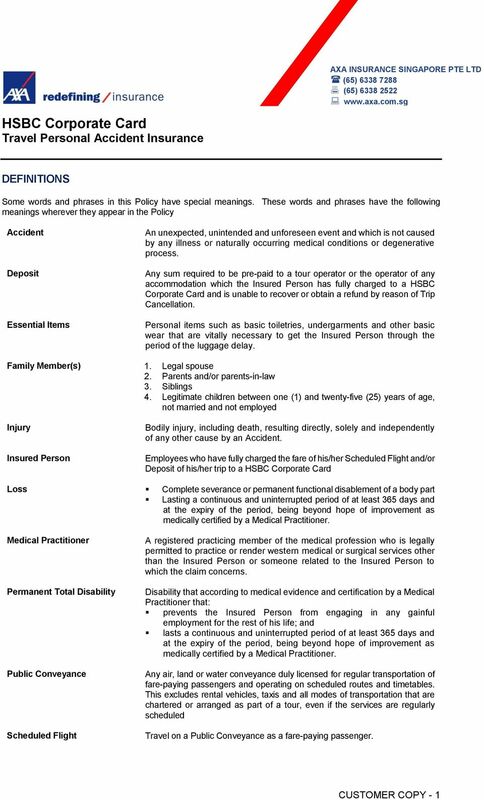 Westpac Rewards Credit Cards Emergency Travel Assistance. SPECIMEN. 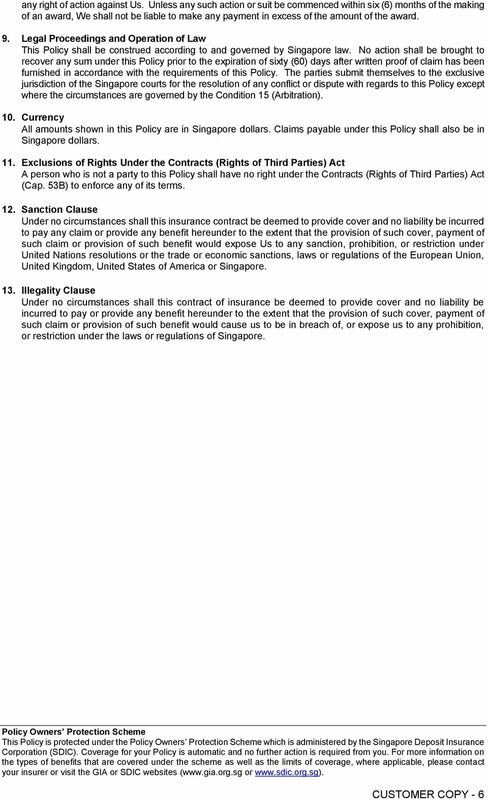 There are additional definitions provided in the Policy to which this Rider is attached. 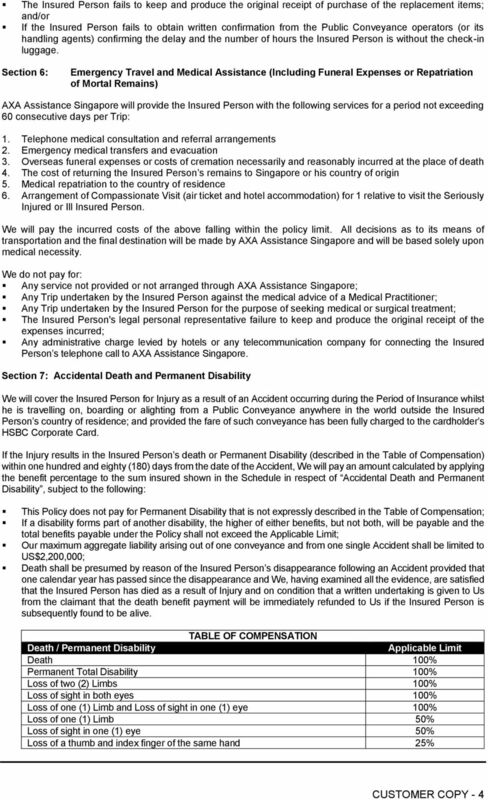 LIFE & ACCIDENT INSURANCE CERTIFICATE BOOKLET GROUP INSURANCE FOR MONROE CO COMMUNITY COLLEGE SCHOOL NUMBER 704 TEACHERS The benefits for which you are insured are set forth in the pages of this booklet.